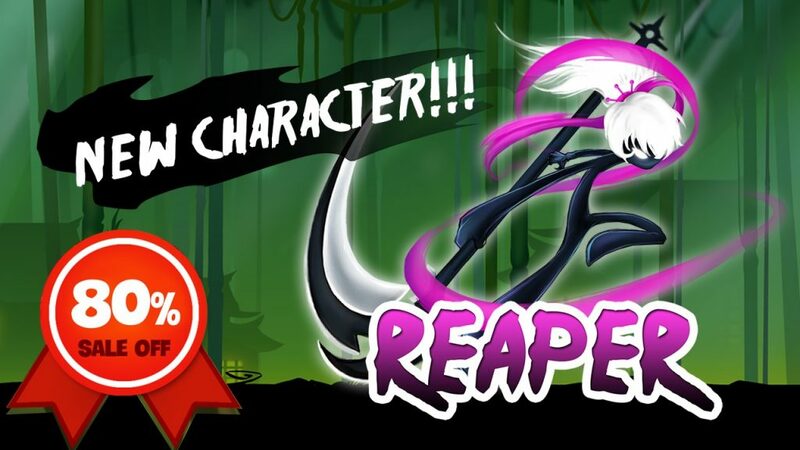 What’s more in Stickman Revenge 3 MOD APK? Referring to the stickman game titles that give you a lot of dramatic feelings, you can’t miss Stickman Revenge 3: League of Heroes. This is the next version of Stickman Revenge series by Zonmod Game Studio, a developer based in Vietnam. This series has achieved a lot of success with millions of downloads on Google Play and received positive feedback from players. This is good news for the followers of stick man when Stickman Revenge 3 comes back with a new look, new skills, and an unprecedented feature – the pet system. Stickman Revenge 3 game really doesn’t have many new things. It is a combination of several elements such as endless run, adventure, action, and role-playing. Here, you will control your character to cut, wipe out enemies and avoid obstacles to earn bonus points. Don’t forget to pick up the gold! Unlike Stickman Legends, your character automatically moves forward instead of moving freely. Your task is to swipe up to avoid obstacles or jump on higher positions (double swipe to double jump). At the same time, use skill keys and attack keys to destroy the enemies that are waiting for you along the way. Your enemies are not just sword-wielding enemies. They can hide and appear unexpectedly. Some carnivorous plants that can shoot out sparks are also a danger that you need to pay attention to. Moreover, the Monter Boss is constantly updated with numbers and power, you must use flexible skills and strong fighting power to become the strongest Stickman Gangster. Kira: Stickman in green with two swords. Jetsu: Stickman blue with a big sword. Reaper: Stickman in pink with a sickle. Rocker: Sickman is blue and his weapon is a guitar. 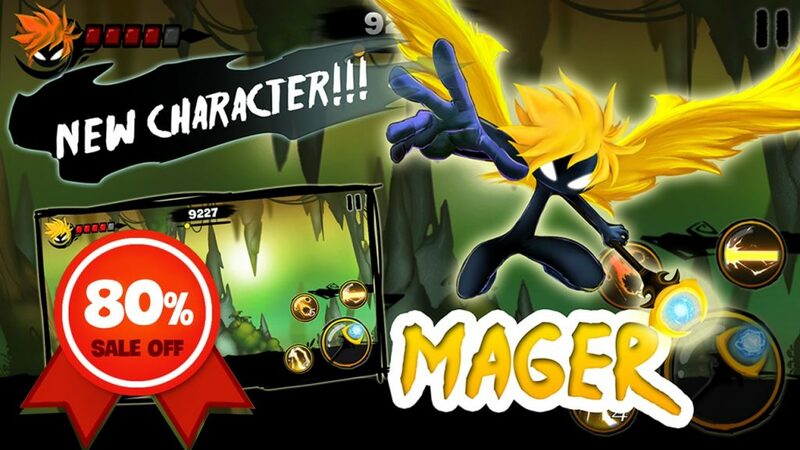 Mager: Yellow stickman with angel wings, capable of using magic. The number of skills is relatively diverse. For example, Leo has the ability to create a shield or turn into a huge wild boar. Because the cooldown is quite long, you need to use the skill appropriately. Besides the original character that the game offers you, you can unlock other characters in cash. The characters have different skills and powers, usually stronger than your character. Besides, the gold you collect is used to upgrade your skills. Upgrading makes you stronger, but it costs a lot of gold. The problem is, it is very difficult for you to have a large amount of gold because when you play you have to focus on fighting and avoiding obstacles instead of collecting gold. Don’t worry, we already have Stickman Revenge 3 MOD APK below, with mod features: unlimited gold, gems, and energy. Before installing the mod, you must remove the other version if previously installed from Google Play. With just a few basic steps, you can install and enjoy the game at any time. You are not alone in this war. With Stickman Revenge 3, the stick man will be equipped with a pet system – an unprecedented feature in Stickman Revenge 2. Pets that support Stickman include Angels, Ghosts, Dragons, etc. They can increase gold bonuses, increase points and support collecting gold coins along the way. Some pets also have the ability to attack enemies from afar or protect you. They are your true friends, your “right-hand” in this game. In addition, Stickman Revenge 3 also owns the leaderboard system between friends and leaderboard worldwide, allowing you to compete and try to become the strongest Stickman warrior. 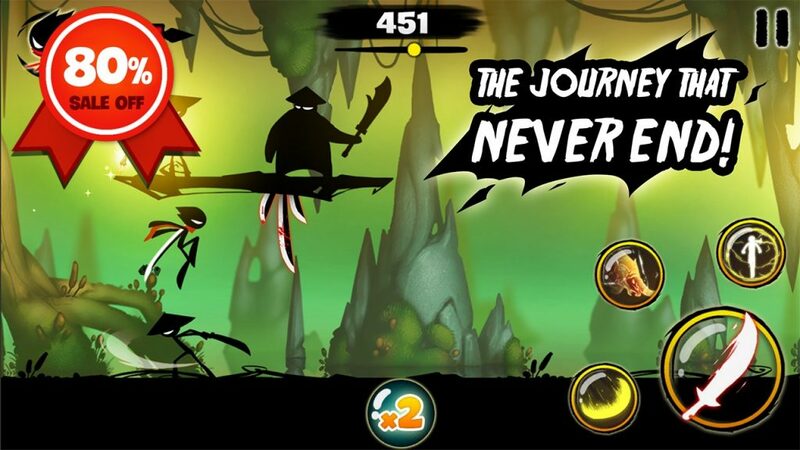 Overall, Stickman Revenge 3 is one of the remarkable mobile games on the stickman theme. The game has a fascinating storyline, creative gameplay, and impressive graphics. If you have any questions, please leave a comment below the article! 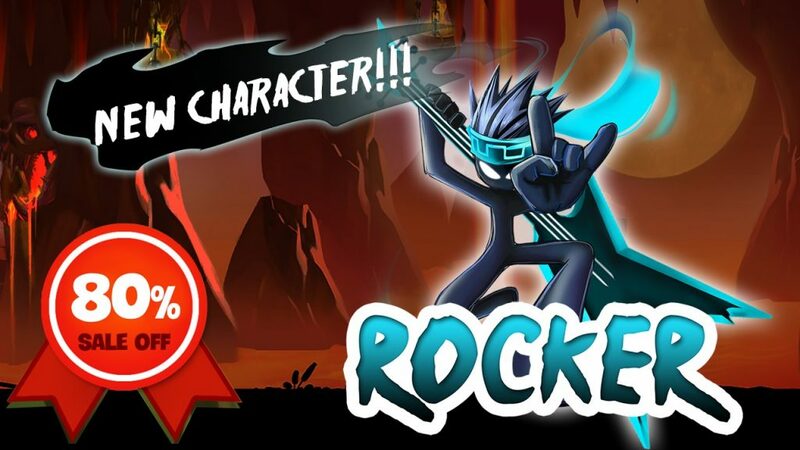 Stickman Revenge 3 MOD APK is ready to download! 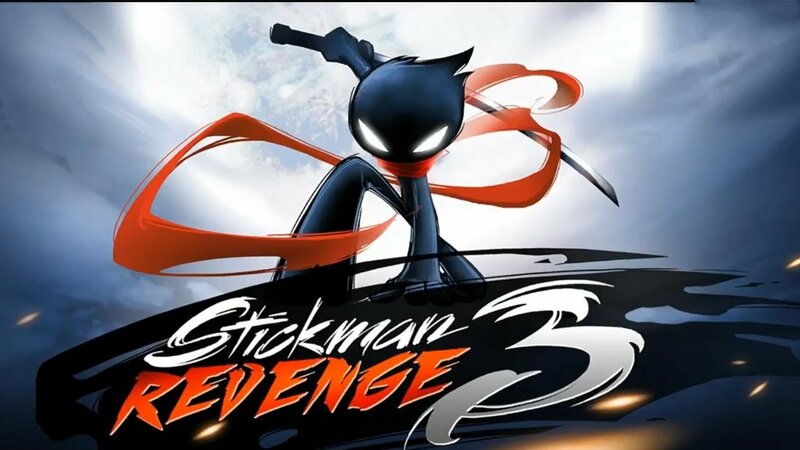 Depending on your needs, you can download Stickman Revenge 3 MOD APK or Stickman Revenge 3 Original APK. Or install from Google Play / App Store if you want.